Facebook UI is pretty clean and easy to navigate. A user over at behance network created a brand new systematic redesign concept for facebook after seeing which you will be WOW. Seeing the concept, I wish the next facebook UI redesigns should be like this.Everything is beautiful, and the designer Fred Nerby have made everything so clean and he also demonstrated everything how its going to work. The color scheme is the same as current color scheme of Facebook, everything in Dodger Blue. He also made up an amazing video showing the new facebook UI. 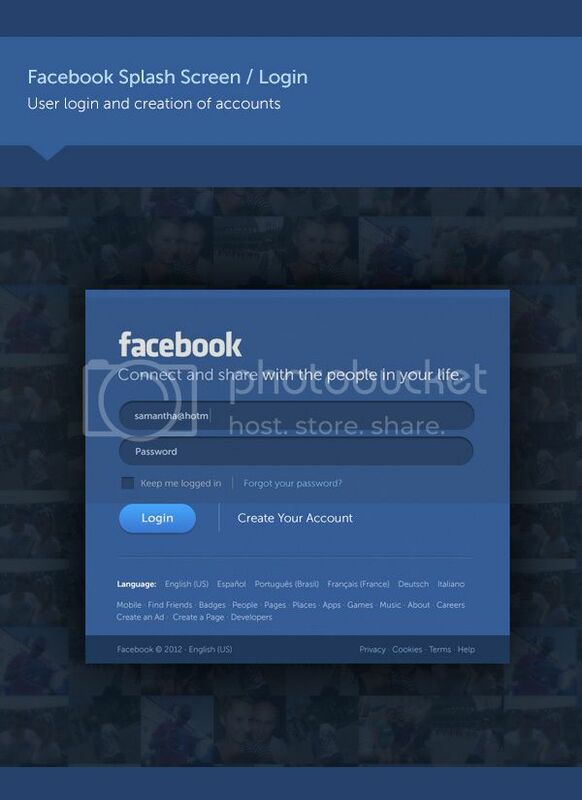 You may also like Facebook Template which I gathered previously. Straight to the topic, this new facebook concept is really inspiring and with elegant design. The about section in profile pages, the feed page, the picture album pages, and the most amazing, the login page concept, everything looks user friendly and clean. Facebook has captured millions of hearts with great Social media Service. Now people aspecting Some great UI. I think this Facebook’s design will win Lots of hearts again.Thanks for sharing this design.